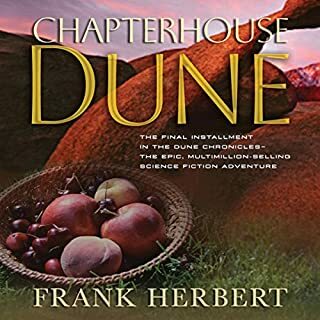 With their usual skill, Brian Herbert and Kevin Anderson have taken ideas left behind by Frank Herbert and filled them with living characters and a true sense of wonder. 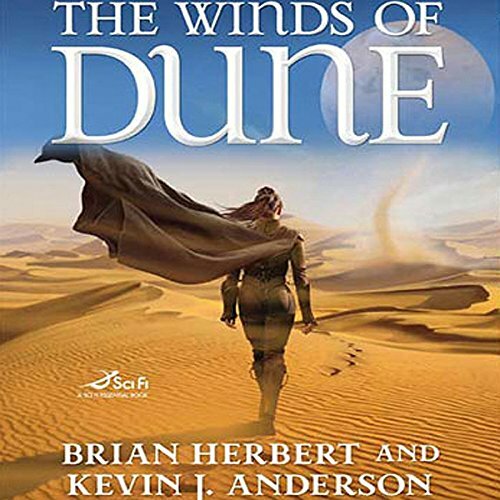 Herbert and Anderson's newest book in this landmark series will concentrate on these characters as well the growing battle between Jessica and her daughter, Alia. 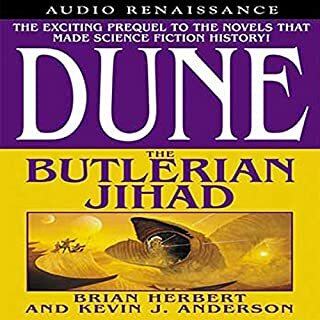 I have listened to most of the other Dune books and I have enjoyed them immensely. I bought this book hoping it would be just as good., but was a little disappointed. It still was a good book, but it seemed a little contrived. I felt this book tried to fill in some of the history that was left to the readers imagination. 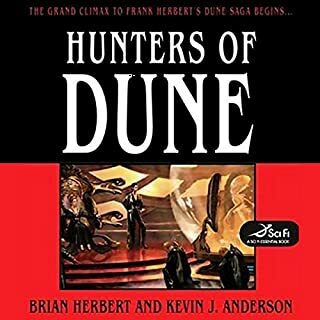 It changed my conception of Paul Atreides from being a horrible despot to a do-gooder just stuck in a bad situation. The fun of reading is to use your imagination and I felt my own interpretation of what happened was more realistic than this book portrays. The book still had all the excitement and adventure of the other books and I did enjoy it. I have stopped downloading any books narrated by Scott Brick. I would rather read the hard copies than suffer though his stilted and affected version of reading. He seems to have a big following which is not shared by all the reviewers on Audible. 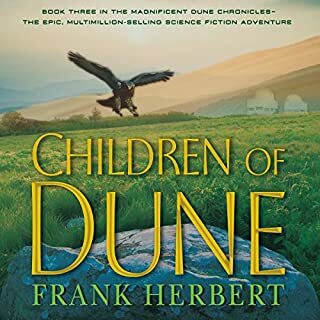 His inflections and tonal qualities are very repetitive and annoying, seems to end most sentences with explanation points and is more concerned about the importance of his voice than the actual story line or characters in the stories. 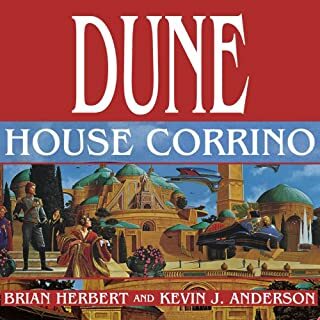 Many great authors and stories on Audible have been ruined by having Scott Brick narrate them. 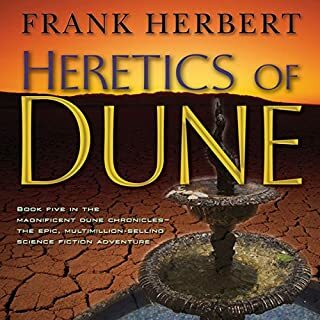 I hope the Dune universe never stops expanding! the more I learn about Paul, Jessica, Gurney, dear Duncan, the more I love and respect them. May Atraides honor never die. Really enjoyed the part about the guilt casters and how... you'll have to read it yourself! Not exactly what I thought it was going to be. 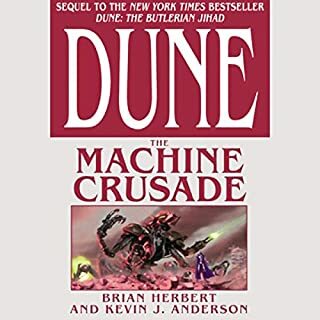 I will say that I did finish listening to this book but it is probably my least favorite of all the books so far. 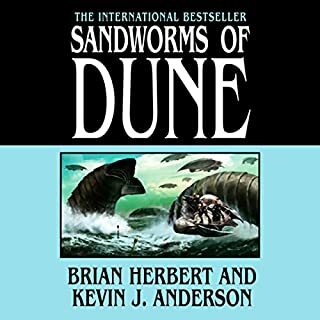 Awesome narrator, don't think I could listen to a Dune book not read by Scott Brick, he is the voice of Arrakis. About average for the series. many missed opportunities for development and broadening of the plot. it didn't really get going until 2/3rds through. 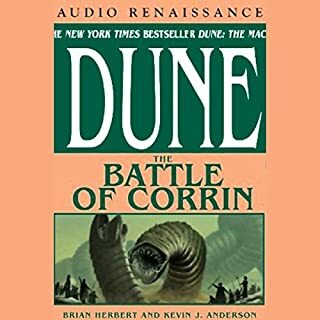 I am new to the series and listening in an order I found online. 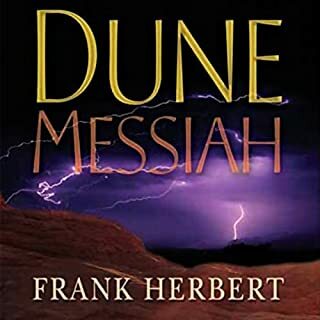 I would agree the non Frank Herbert books are not as great, but I appreciate the depth and context they add in between his entries. This one did not disappoint! I felt it was a bit slow and off early on, but it really came together in a great way, and I thought the depth was very solid. 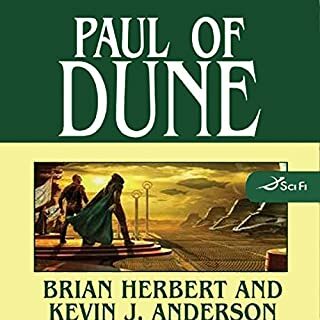 It also built well on the other books from the series that I have completed. Overall a good read, but can be confusing. Perspective and time switch again and again - and the only notice you get is the number of the year at the start of the chapter. 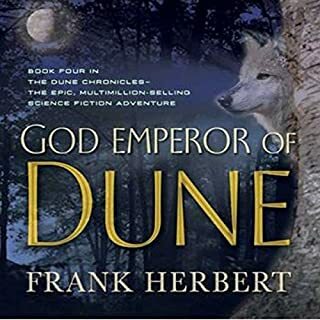 Out of the books that Frank's son has written, this one is one of the best and perhaps better than some of the original books. I would recommend inserting this one into the timeline for anyone who is interested in going through the original series.